"The hand-built Racer has a fiberglas bullet-nosed body with side panels mounted on a lightweight tube frame and heavy duty roll bar. Note the high wing for speed control. Paint is silver/red/blue metalflake." "One of the most expensive custom cars ever made, it took six years to make. Tail lights turn with the steering, the gull-wing tops raise when the door opens, headlights flip. 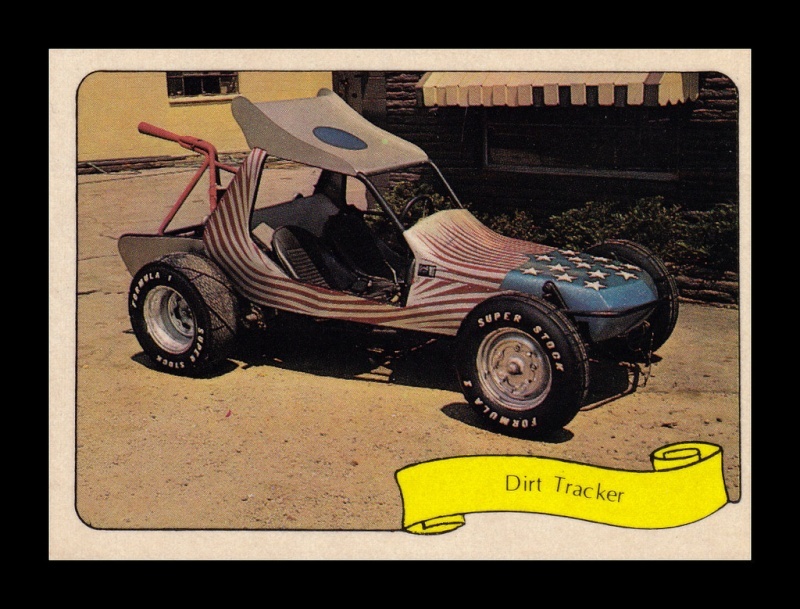 It's powered by a Cadillac engine and has diamond dust paint." 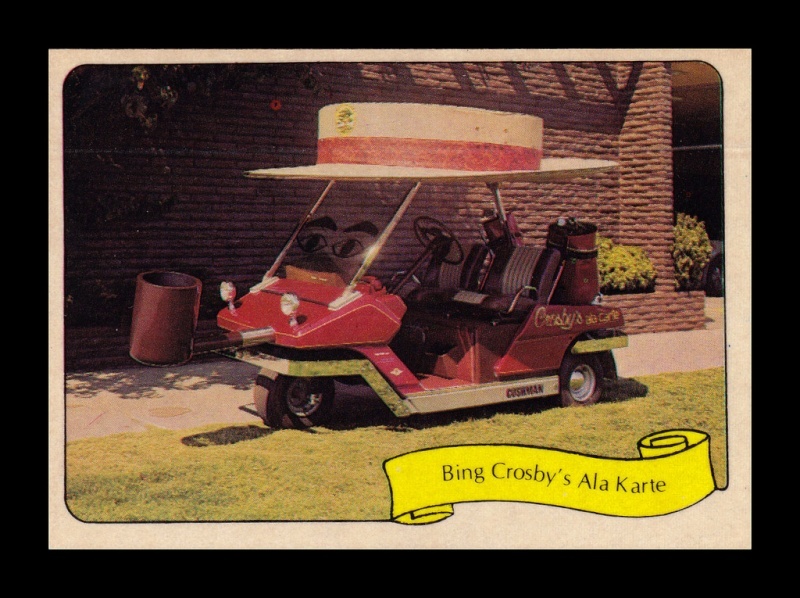 "World famous Bing used this electric-powered Cushman Kart in his orange juice commercials. There's a 4" smoking pipe and a round hat 10" wide, plus a TV, two phones, tape recorder, and FM stereo." 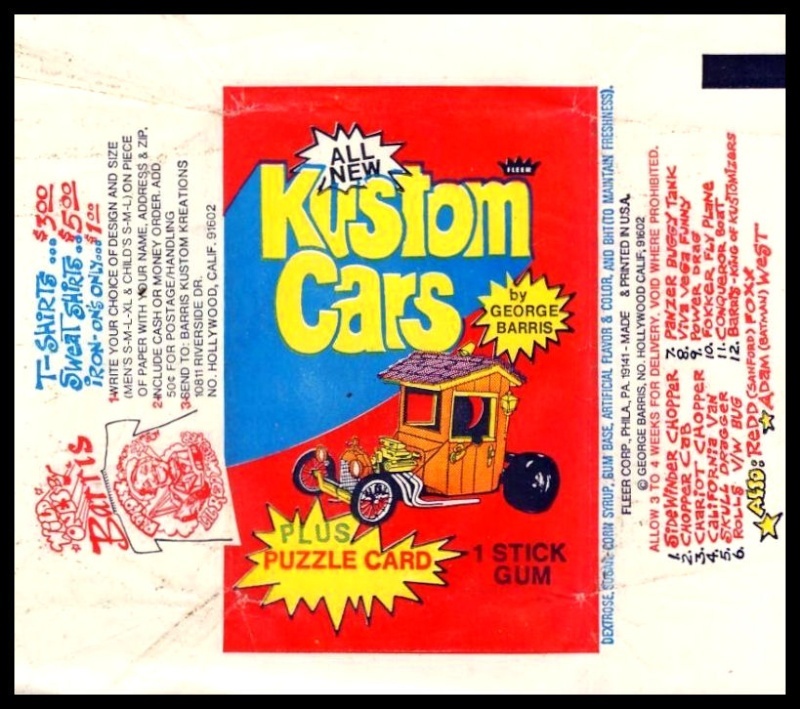 "The most famous Barris creation for Bob has a battery-powered 12" Cushman Kart. 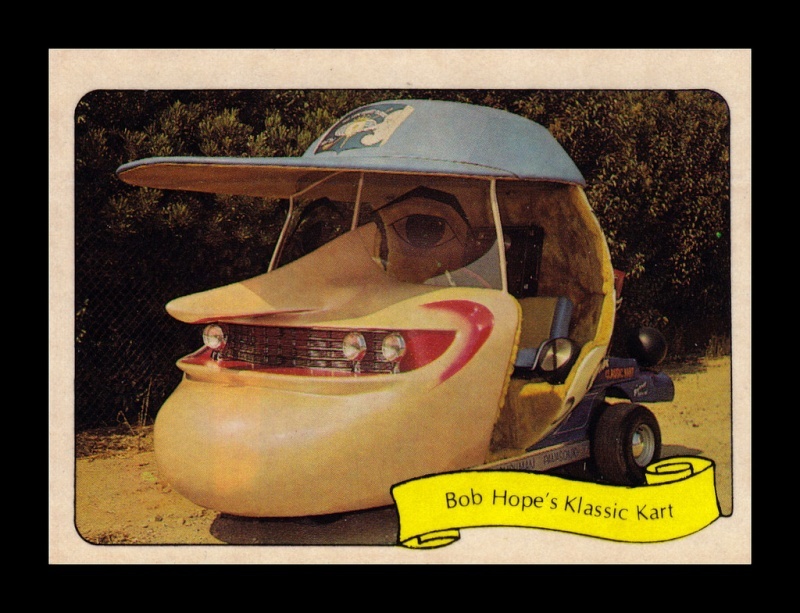 The classic ski jump-nosed Kart has been used by Bob on TV many times." "The hot rod version of this TV pick-up truck packs an Oldsmobile 442. Inside are 4 bucket seats, a Hurst Shifter and dual S/W tacks. The bed is laminated wood. 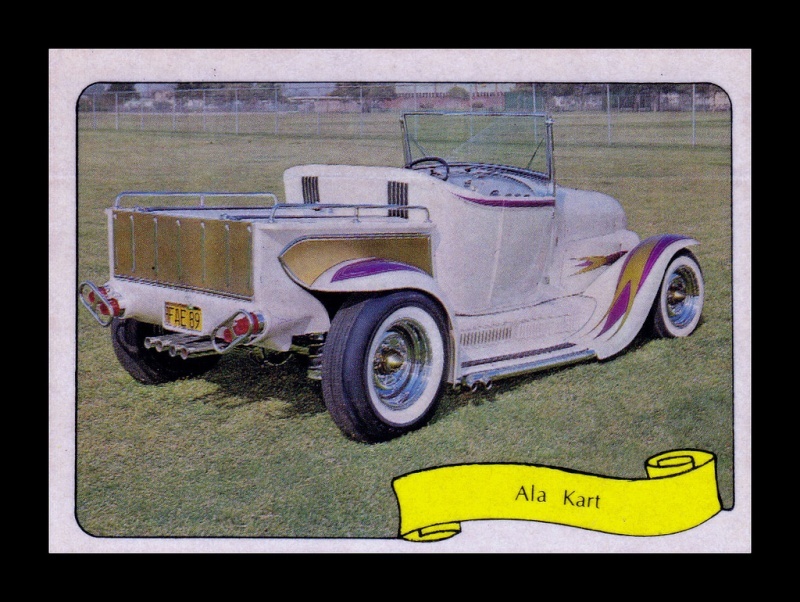 The driver is protected by two chrome roll bars." 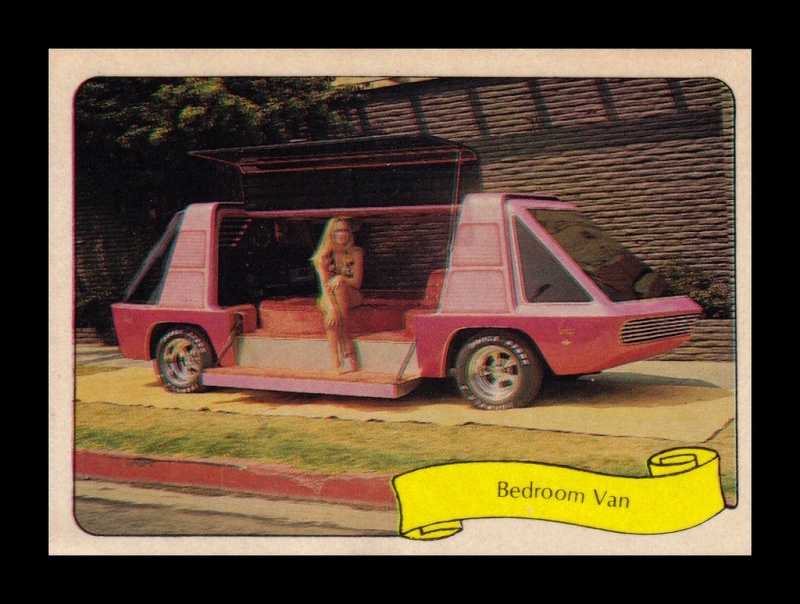 "A Dodge Van was completely customized with gull wing, tinted plastic doors and a futuristic styled cab to make this far-out set of wheels. The interior is orange and pink fur covering a six-foot round bed." 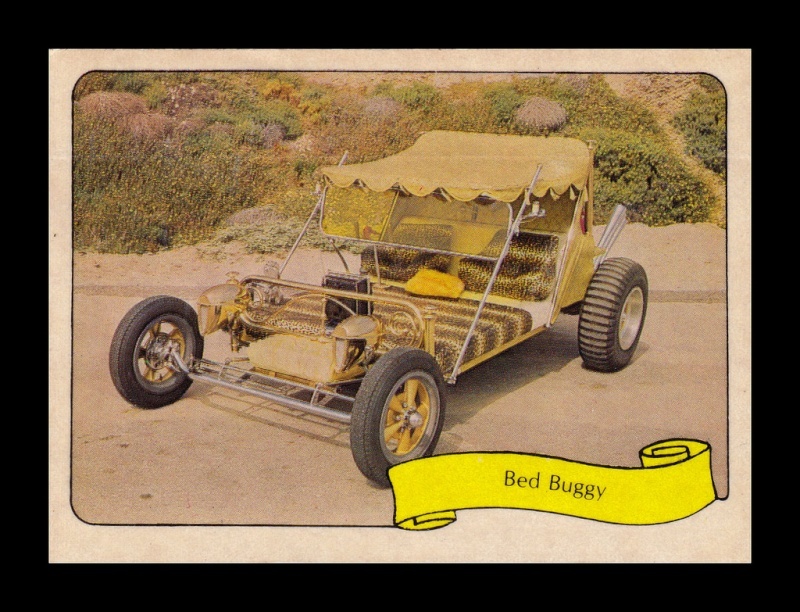 "This brass bed racer is equipped with a high performance Corvair engine and funneled exhaust tubes. The moon gas tank is mounted in a leather covered chest, and the leopard vinyl interior features TV and stereo music." 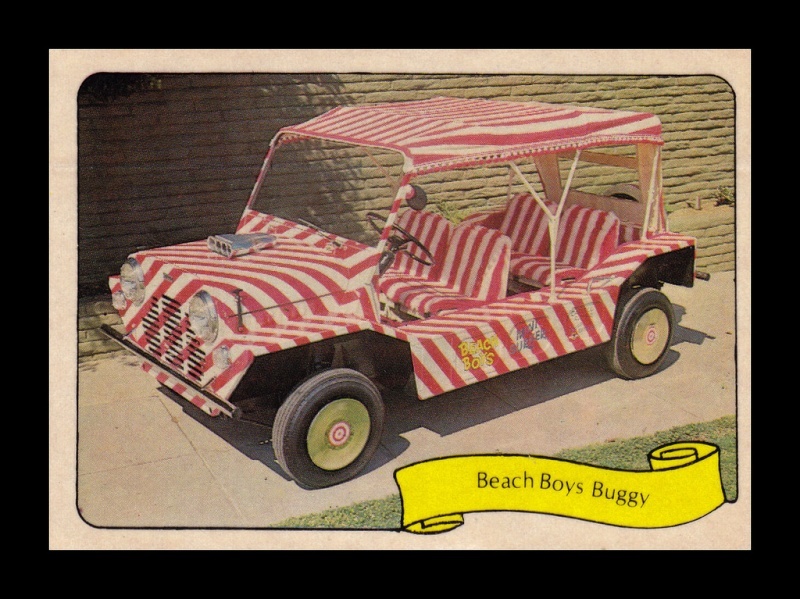 "From one of the biggest national contests Capitol Records ever had evolved 22 kandy striped mini Coopers for the Beach Boys. Hub caps are made of their gold records. 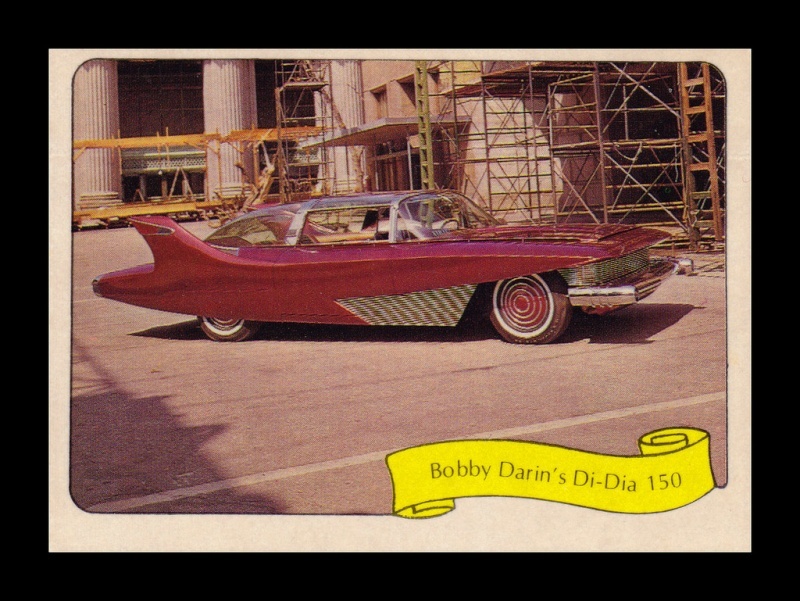 Red and white kandy stripe fur interior, top and curtains make this Barris special a real eye-opener." "The concave dipped and curved bath tub is on a tile flooring frame, and a sink grill and vanity table cowl are all part of this unique rod. All exhaust and piping are from real plumber's pipe." 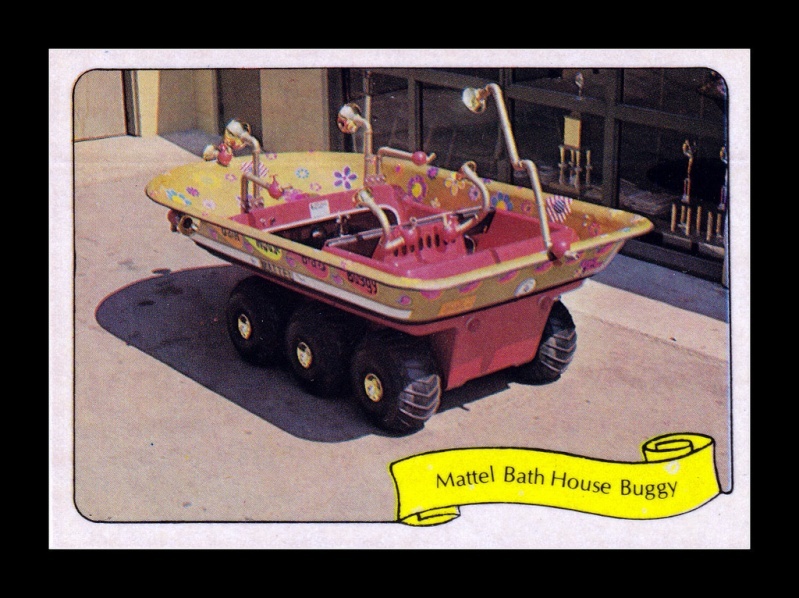 "a complete model was taken from an original bathtub to create this buggy in fiberglass. 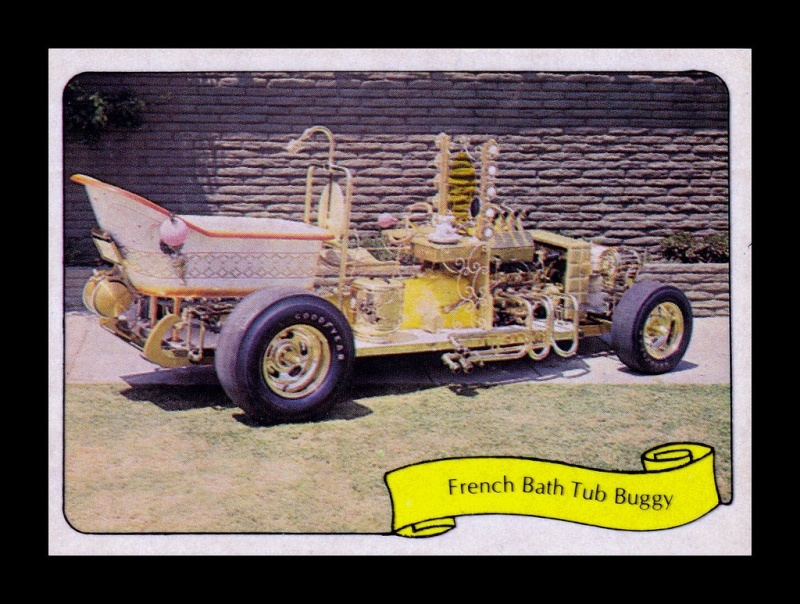 The body is mounted on an amphicat chassis with brass toy air horns mounted everywhere." "This one of a kind has center steering between the occupant seats. 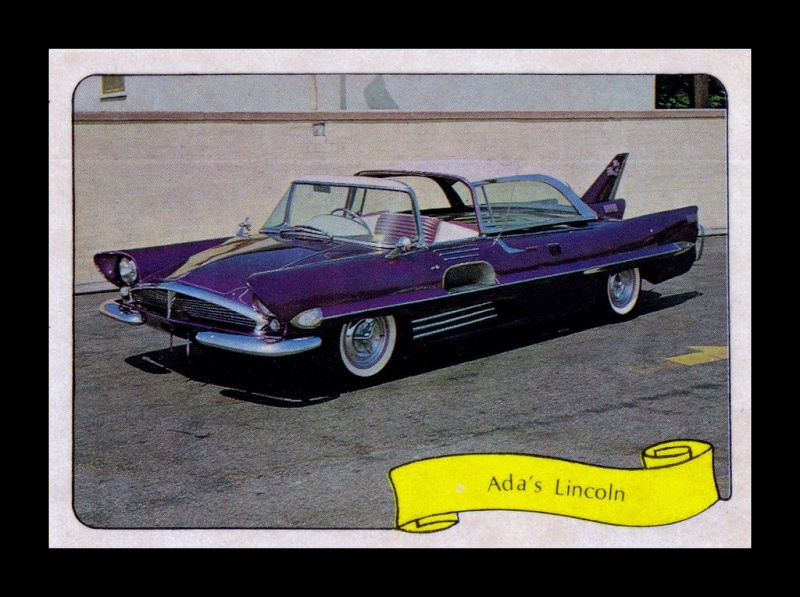 The hand-built metal body has rudders and scoops finished in lavender lacquer with orchid seats." 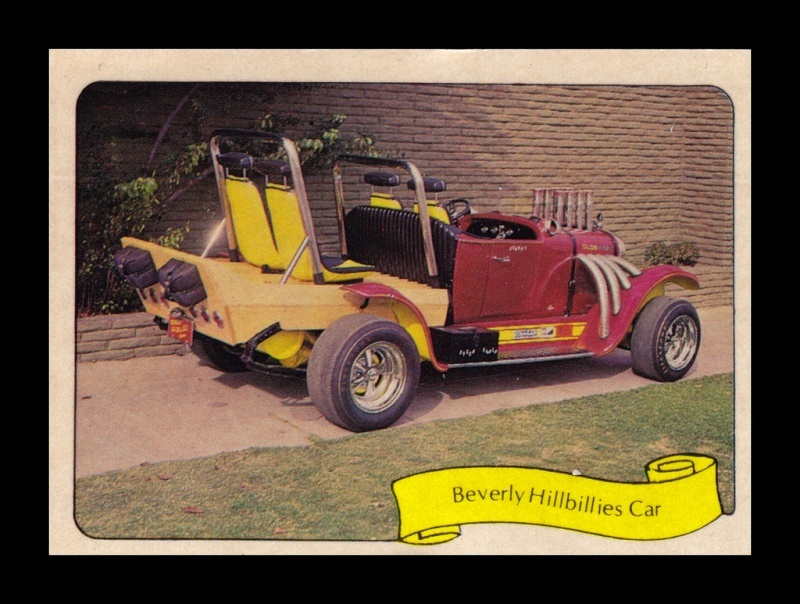 "This is Barris' most famous and award winning hot rod. The white pearl, gold, and purple Model "A" pick up sits on deuce rails, has a 400 hp Dodge Ram engine, 4 speed, S/W dials, and custom fenders." 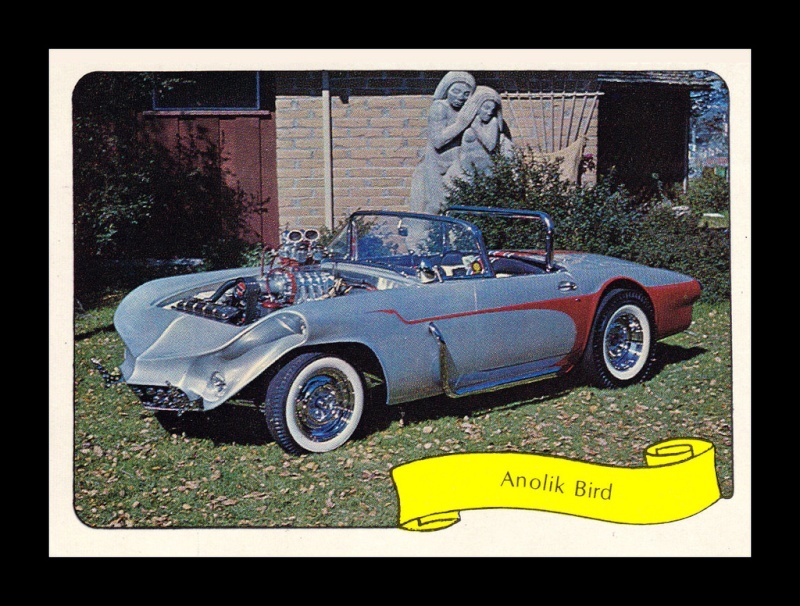 "This high-styled Thunderbird was used in Frank Sinatra's movie, "Pal Joey." The engine is a supercharged GMC and the deluxe interior has red and white vinyl plus a chrome roll bar."